London has so much to offer visitors from museums, art galleries, shops, famous landmarks, attractions and much much more - you certainly will not be stuck for things to do! 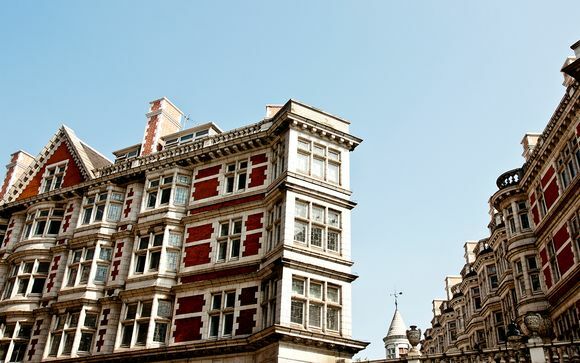 Overlooking the famous Russell Square in the heart of Bloomsbury, Hotel Russell offers one of the best hotel locations in London. Across from the buzzing West End and within easy walking distance to Covent Garden, the British Museum and theatreland, this luxury 4 star hotel is close to all major transport links, including a 1 minute walk to Russell Square tube station and close to Kings Cross, Euston and St Pancras as well as all airports. Staying at Hotel Russell offers a true London experience whilst also providing an escape from the pace of the city. The 373 bedrooms of the Hotel Russell combine a wide range of standard, executive, traditional and contemporary double and twin bedrooms to choose from. 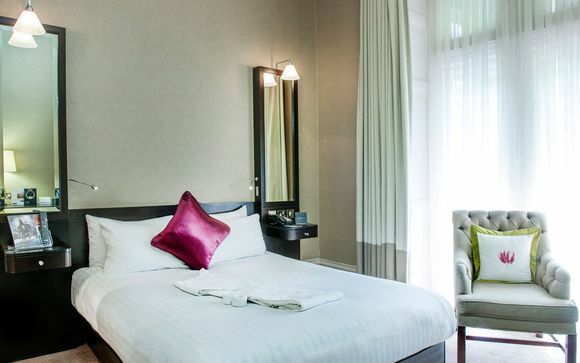 Many bedrooms offer unparalleled views of London and are equipped with the latest technology, market leading facilities and maximum comfort for weekend getaways, mid-week breaks and the transient business traveller. Charming and cosy, Standard Rooms are thoughtfully furnished to create a relaxing environment after a long day of work or exploration. Stay productive with our wireless high-speed Internet access or relax your legs and enjoy high-definition entertainment with our LCD TV. Whether you’re travelling on business or pleasure, the Standard Room is an ideal choice. Also available as a single room, these accommodations are ideal for anyone visiting the capital. Enjoy dinner in the Tempus Restaurant with its stylish rich walnut flooring, coupled with the beautiful architecture of Charles Fitzroy Doll and a menu serving up locally sourced and seasonal produce where possible across modern and classic dishes. Escape the city with a relaxing drink in the Tempus Bar & Lounge with a choice of beers, wine, Champagnes and cocktails or sample a delicious Afternoon Tea. Relaxing in your room for the evening? Choose from an extensive In-room menu available 24/7. Nearest Underground station: Russell Square. Russell Square Underground station (Piccadilly line) is immediately next to the hotel. The Piccadilly line connects Kings Cross station with London Heathrow Airport, by central London Heathrow airport is approximately 50 minutes by tube from Russell Square while Covent Garden, Leicester Square and Piccadilly Circus are two, three and four stops away. Please note: Cancellation policy is 72 hours prior to arrival and one night will be charged for a no show.